Facebook today updated its official Android client to version 1.5.2, with new features and bug fixes the order of the day. Weighing in at 2.6MB, the update brings the ability to upload photos to friends’ wall as well as to Groups. Improved security by the way of SSL and numerous other bug fixes. 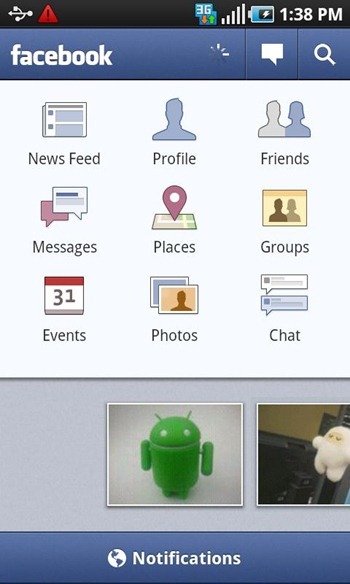 The official Facebook Android app is available from the Android Market and is free.